Remington is one of the leaders in rimfire ammunition advancements. Their wide variety of loadings means that you are sure to find the right ammunition for your needs. Great for competition, hunting or plinking, Thunderbolt Round Nose loads create a pleasant shooting experience for young shooters as well as high scores for competitors. Every Mag shooting through 10/22 had at least 1 dud. Bought several bricks of Thunderbolts a few years back and have shot up at least one brick (500 rounds). Always had good performance from my pistols and revolvers; Sterling Model 302, Star Model F, H&R "22 Special" and several bolt action rifles. Never a misfire or failure to eject. Very accurate and worth every penny! After trying to shoot a 150 rounds, we ended up with 27 duds. The rifle was a Marlin 70P. 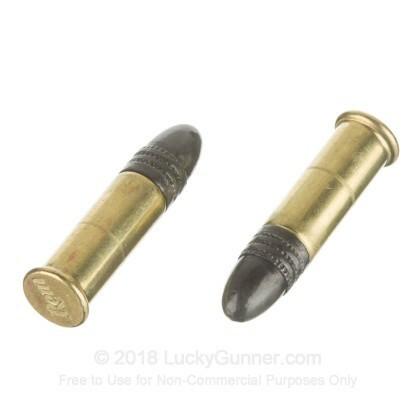 I use this ammo in my Ruger 10/22. It burns a little dirty. Out of a box of 500 I had a few failures to eject. My Ruger loves this ammo even more than the sub Sonic CCI. Go figure. Find what works and buy a lot of it. Shipped fast, arrived in perfect condition, performed flawlessly in our Savage 64 and Mossberg 702 plinkster. Will definitely order again from LuckyGunner. Their prices were best I found after extensive online searching! 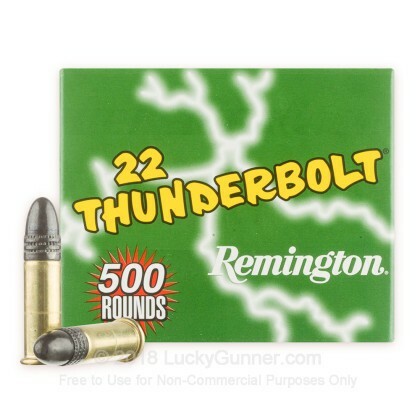 No problems w/Remington Thunderbolt 22 LR. 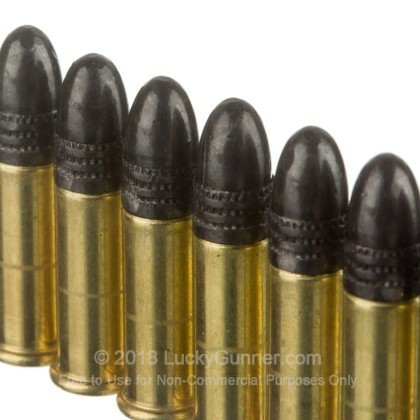 Have purchased 5 different caliber ammo and will continue to purchase from LuckyGunner. very good will buy more in the near future. 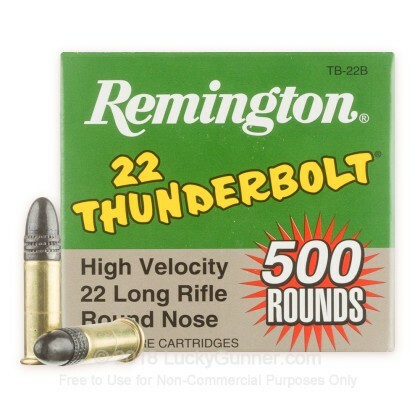 We also have this 22 LR - 40 Grain LRN - Remington Thunderbolt - 500 Rounds ammo in stock in a smaller quantity.